In this inner circle article, you're about to discover how to TRIPLE your productivity, work less, and have an amazing life...all thanks to a new advanced fat burning workout system. I know, I know, it sounds a little odd. But here me out. As we both know, there are only so many hours in the day for you to take your bootcamp business to the next level. You have to get NEW clients, keep your current clients EXCITED about your bootcamps, and you have to continue creating amazing new workouts every day. That's a LOT of work, not to mention a LOT of stress - especially when client attendance falls off because of boredom. It happens. If you don't already know me, my name is Craig Ballantyne and my Turbulence Training programs have literally helped millions of men and women lose 10, 20, 30 and even 41 pounds in just 8 weeks. Over the past 18 years - since I was just 14 years old - I've been studying fat loss, exercise, and advanced workout strategies every hour of my work day. From reading bodybuilding magazines as a teenager to studying scientific journals, I've looked high and low for every possible bodyweight exercise and fat burning tip. Each night I'd hit the sack around midnight after creating new programs for Men's Health magazine and for my personal clients, and then I'd be back up at 4:30am to write articles for my website and newsletters (and answer client emails) for 30 minutes. At 5:21am, I'd sprint down the street to catch the bus downtown where I'd train clients from 6-12, take a lunch break and do my own workout, and back to clients from 2-5. After dinner, I'd walk through a questionable neighborhood in Toronto's West End where I ran bootcamps in an old Community Center. Most nights my energy was dragging at about 6pm, but as soon as I got to the bootcamp classes it went back through the roof again. Training folks in a group is some of the most fun you can have at work. Some nights I'd train 15-20 people working hard and having fun in the bootcamp. I even started doing a few afternoons where I'd run smaller groups of 4-6 people just because it was so much darn fun. You'll help more people in an hour than you do all day. You'll likely get paid even more to do that one hour than you do for all of your individual sessions. Plus, each person in a bootcamp pays just a fraction of the price as the one-on-one clients who trained at the gym. > Your family/hobbies/personal life wins. Plus they get more results because of the social support... not to mention that you no longer have to worry about every personal trainer's WORST NIGHTMARE - "no show" clients. I know that for many of you, if a client doesn't show up, you don't get paid. And we all know that time wasted equals money lost. But NOT with bootcamps, and that's just another reason why bootcamps are the best way to be earning a living as a trainer these days. And so that's why I went back and went through all of my old bootcamp workouts from back in the day, fixed them up based on some new science and exercises I've discovered, and created. Inside you'll discover over 31 done-for-you ultimate metabolic bootcamp workouts, including 31 advanced MRT workouts, 10 beginner workouts, AND 20 challenge workouts. Not to mention all the ideas you'll get for your own versions. The truth is... with so many workouts to choose from, you'll easily keep your programs fresh, exciting and effective for a long, long time. What Do TT Metabolic Resistance Training Bootcamp Workouts Have in Common with KFC, the Big Mac, and Coca-Cola? There are the 11 herbs and spices from the Colonel's secret recipe. The Big Mac has two all beef patties and a secret special sauce. And Coca-Cola has an ingredient list so secret and classified that people regularly try to steal it. Day in and day out I review other trainer's programs who are trying to copy the TT MRT formula and create their own Metabolic Resistance Training workouts, but they're simply missing my "secret ingredients" that go into every Turbulence Training workout I design. In fact, in the last 15 months alone I've reviewed 117 workouts by trainers attempting to "re-create" the Turbulence Training workout system, and the results have been downright dangerous in some cases. That's also why I've developed Turbulence Training MRT Bootcamps, featuring over 31 done-for-you workouts that'll let you get started immediately. Rather than fork over $1995 to get certified as a Turbulence Training trainer (note: you would still have to create your own workouts), you can just pay $97 right now and gain instant access to ALL my advanced training secrets. I've saved you hundreds of hours of your time and over a thousand dollars of your money by creating all the workouts you'll ever need to keep your clients happy, and coming back for more. 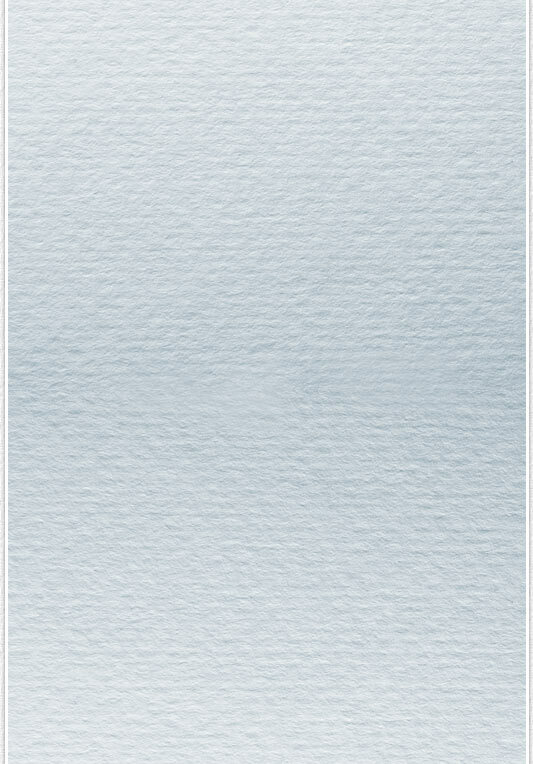 All you need to do is print and play. Forget about spending your evenings trying to design a workout program when you have to get up at 4:30am to train your first "one-on-one" client. Use the Turbulence Training Bootcamp Workouts as Your Done-For-You Blueprint to More Clients and More Money ¨ All While Becoming the Local Celebrity Trainer! "Craig's advice has been invaluable to me! His Turbulence Training has been the blueprint for all of my semi-private and Boot Camp training programs. I am now treated like a local celebrity by my clients following their transformations plus I get referrals from local chiropractors because their clients are getting fast, effective and long-lasting results. In addition to this having followed his marketing strategies, I have started 2 new corporate Boot Camps which will earn me an extra ¬¨¬£180 (US$270) per week. If you are serious about your fitness business and want to provide your clients with great results in record time then you need to invest in his system." "I have invested large amounts into my business, equipment, and programming. Quite often the exercise programs that I invest in are disappointing because of the lack of quality information or workouts, or it is already something I use in my programming. I am amazed at the variety of your programs and I use the TT approach with 90% of my clients. Thanks for the great workouts!" "Hey Craig, first I want to say thanks for your tireless attention whenever I email a question about anything. There is always a quick response. Secondly: I LOVE the work outs you develop. It saves me so much time as a trainer. I simply open my Turbulence Training folder and can quickly find a program that is safe and effective. They feel they got their money's worth after a session. Thanks for all you do for us trainers Craig." "All of your Turbulence Training" materials are required reading for all International Fitness Academy's trainers. I have spent a great deal of time studying your research and training programs and find them to be precise, accurate and effective. Our clients have truly benefited from the application of your training guidelines. We are most impressed with the research you have put into designing Turbulence Training which has resulted in the finest fat loss training product on the market." "When I first started taking Bootcamp's I was really struggling to find effective workout routines that are also fun and varied for the clients. Craig's manual really helped me to put together great workouts. My clients results have been excellent and they really enjoy the classes as well. Building a fitness business is all about the clients experience and how people talk about you in your area. With these workouts your marketing will almost take care of itself as everyone will be talking about your Bootcamp"
"Having to take the guess work out of designing a program has been a dynamic piece of my business allowing me to spend more time developing client relationships and generating new clients. If you're looking for a complete program... then I highly recommend Craig’s TT Bootcamp Workout." "Craig's bootcamp workouts are by far, one of the best investments I have made for my fitness business. Last Summer, I had one camper lose 4" in her waist alone using his workouts. Craig's programs are a staple in my business because they are fast, effective and unique. If you get results, you will get more campers. It's that simple. I went from 5 campers to 20 in just weeks due to the buzz... I don't have to waste time creating workouts. It doesn't get any more "done-for-you" than hitting "print" and taking it to your camp, while watching your clients drop fat fast." "It's always a great idea to learn from other successful people and as you know Craig is one of the most successful trainers out there. I've found using the TT Bootcamp workouts has helped me save a ton of time without sacrificing the quality of the workout for my clients. Not only has it saved me time, it also got me to think outside the box. It's so easy to just get hung up on using the same old exercises over and over again. Investing in this product is an absolute no brainer in my books." With fast and effective "Print and Go" workouts, there's no more embarrassment over not having an amazing fat burning workout for each and every bootcamp session. It's high quality awesomeness via unique workouts and exercises, but without the hard work. Even better is that these done-for-you bootcamp workouts not only beat bootcamp boredom while doing less work, but they make you MORE money... not to mention that you can use them on your own to burn fat and get ripped. The truth is that if you don't get them, your competition probably will. To be competing for clients against a bootcamp that has the best programs and MORE time to spend on marketing because they don't have to stay up half the night creating workouts for their 6am classes. It's time you let world-renowned fat loss expert, Craig Ballantyne, and his proven fat burning workout formula give you your life back, while giving your clients amazing results, and allowing you to give more attention to what matters (motivating clients, following up with them to keep them on track, bringing the energy, and getting more people into your bootcamps). Bedros Keuilian reveals his “Client Attraction & Mindset Strategies”. Before you even get clients, you have to have your head on straight, and no one motivates and inspires better than Bedros. After overcoming a childhood where he was diving into dumpsters to help feed his family, Bedros went on to become a fitness sales machine, selling hundreds of thousands of dollars in personal training for years. Bedros knows what your clients want and need, and he’ll show you exactly how to deliver it in the easiest way possible, so that both you and your client enjoy EVERY minute of time together. His no-stress selling is exactly what YOU want and need. PLUS, you’ll also get a BONUS section where Bedros reveals his “Future of Bootcamp Marketing Predictions”. You don’t want to miss where the fitness industry is going…because you’ll want to be there ahead of the crowd. Steve Hochman delivers his latest, “Ultimate Guide to Building a 6-Figure Bootcamp”. He’ll show you how to do this FAST – from scratch – even if you don’t even have a bootcamp up and running yet. Steve’s positive, EVERYONE wins approach is refreshing in this day and age of the competitive bootcamp market, and he’ll show you how to set your bootcamps and business apart from the copycats from day one. THIS interview alone is worth ten times what you’ll invest in the TT MRT Bootcamp System today. Cara Eckerman is a new rockstar in the fitness bootcamp world and you’ll love her amazing outlook on helping clients, attracting the BEST clients into your camp, and keeping them. You’ll learn all of that, and much more (including how to have the best weekend bootcamp free events to get more clients) in Cara’s “Bootcamp Launch Blueprint”. Her story alone is incredible and will inspire every trainer to see what amazing opportunities exist when you are dedicated to helping your clients change their lives. She’s AWESOME. Justin Blum delivers killer content in his, “How to Run Bootcamps in Your Own Facility” Guide. If you have your own location, or if you are thinking about getting one, you MUST see and hear what Justin has to say. His tips will save you thousands of dollars while his unique bootcamp client attraction strategies will open your mind to whole new way of getting clients. I call what Justin has, “The Bootcamp Dream”, with great clients, a cool training location, and more bootcamps running at more hours of the day. Find out how to maximize your success with Justin’s guide and all of the other amazing secrets from your Bootcamp Marketing Coaches in the FREE bonus you’ll receive with the Complete TT MRT Bootcamp Workouts program. You'll gain instant access to the Turbulence Training Certification archives. In the past, trainers have invested over $1300 to get their hands on these priceless business building calls. But they are yours FREE when you pick up your copy of the MRT Bootcamp Workouts. With the complete done-for-you TT MRT Bootcamps, you now have a plug and play workout system that lets you focus your time on the amazing 6-figure bootcamp marketing techniques and strategies shared by bootcamp blueprint experts, Bedros Keuilian, Cara Eckerman, Steve Hochman, and Justin Blum. By the way‚ it costs hundreds of dollars just to get a single coaching session from Bedros or Steve, but you get both of them as a FREE bonus when you get the TT MRT Bootcamp Workouts. Q: Who is the Done-For-You MRT Bootcamps for? A: These cutting-edge TT MRT Bootcamps workouts are designed for all fitness levels, from beginner to advanced, who wants cutting edge workout methods that match the bootcamp training style. In the past year, over 1173 personal trainers and fitness enthusiasts have used the TT Bootcamps workouts to add fun, variety, and more results to their programs. So if you want the workouts created for you, showing you every exercise and every rep to help you or your clients burn fat fast, then you'll love getting over 31 of these camper-loving workouts. 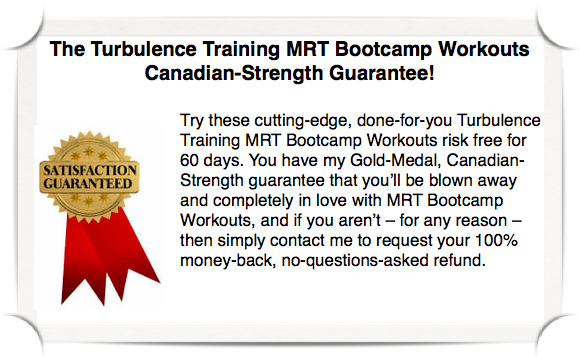 A: You have my 60-day, 100% money back, Gold Medal-Canadian Strength guarantee that you will love the TT MRT Bootcamp Workouts or you can simply let me know and I'll refund every single penny of your order. There is absolutely no risk to you because I know that you'll love these workouts and once you give it a try. They're fun, fast, and effective workouts. Q: Where can I buy the TT MRT Bootcamp Workouts? 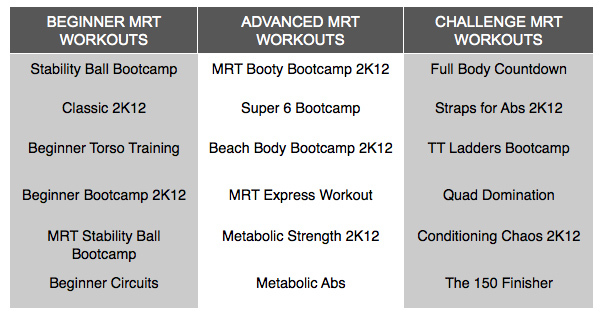 Q: Is the TT MRT Bootcamp Workouts package sent in the mail? A: No. Instead, you get instant and immediate access to over 31 Bootcamp Workouts with just the simple click of a button. You'll be able to print out the workouts and use them within minutes. A: Variety is the key to keeping your clients coming back day after day. And because of this, these MRT Bootcamp Workouts include exercises using dumbbells, kettlebells, straps, bands, stability balls, and your bodyweight. Q: Do you show every exercise and proper form in the manuals? A: Yes, absolutely. Each exercise comes with photos and an exercise description. With the complete done-for-you TT MRT Bootcamps, your bootcamp workouts are designed for you to plug-and-play so that you can spend your time on the amazing 6-figure bootcamp marketing techniques and strategies shared by bootcamp blueprint experts, Steve Hochman, Rachel and Alwyn Cosgrove, and Bedros Keuilian. By the way, it costs hundreds of dollars just to get a single coaching session from Bedros or Steve, but you get both of them as a FREE bonus when you get the TT MRT Bootcamp Workouts. P.S. - If you are unhappy with your business, income, or career and always wanted to help people reach their goals in health and fitness, then there is NO BETTER TIME than right now to build - and grow - your fitness bootcamp business. Your clients will get great results with the TT MRT Bootcamp workouts, you'll help more people and make more money, and everyone wins. Get started with your bootcamp success story today using the Turbulence Training Done-For-You MRT Bootcamp Workout Programs. us know within 60-days and you'll be refunded your entire investment. NOTE: TT MRT Bootcamps is a downloadable e-book. After you order, you will get INSTANT ACCESS to download the e-book and all the bonus reports onto your computer. The e-book format is adobe acrobat PDF, which can be viewed on Mac or PC.